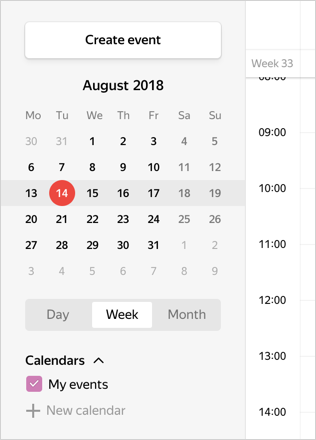 Click the New calendar link in the panel on the left of the screen. You can create as many calendars as you need specifically for your goals. For example, a calendar for your friends' birthdays, one for business meetings and another for sports training sessions. You can view all your events together or separately by choosing which ones you want to enable for display.